Sell Tickets Iowa State is a member of the Big 12 Conference in all 16 of the sports in which it fields a varsity team. Their men's basketball program in particular is one of their most recognized for their success, as they are in the middle of a great stretch, coming off of a run of NCAA Tournament appearances that they hope will end with another deep one this season. Be sure to come check out your Cyclones in person with cheap tickets on TickPick that NEVER include any buyer fees! No hidden service fees. Guaranteed lowest prices on the web. The Cyclones men's basketball team are in the midst of great success relative to its history, and they have the recently-departed head coach Fred Hoiberg to thank for much of that, as he was a great recruiter who brought excellent talent to Ames, including Monte Morris. The star senior holds the key to Iowa State's postseason success and current head coach Steve Prohm has given Morris the supporting cast he needs to make a deep run in the tourney. This team is deep and talented enough to beat anyone and they are a smart sleeper pick to make the Final Four. 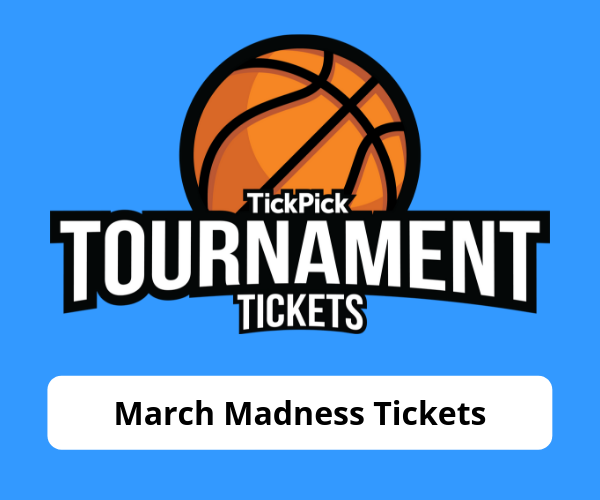 TickPick is the only ticket marketplace that has NO Service Fees or hidden charges, guaranteeing the cheapest Cyclones basketball tickets around. No matter where you sit at the Hilton Coliseum you can be sure that our all-in prices are the best deal on the market! Don't believe it? Check out Cyclones basketball tickets on Stubhub, or any other ticket site, just be careful as they typically add 10% to 15% in fees at checkout. Unlike any other ticket site, TickPick is the only place where you can sort Iowa State Cyclones tickets based on the seat quality. If you are looking for the best seats within a few sections, this feature is tremendously helpful. Use the interactive seating chart to select the sections that you are interested in and then sort by Seat Quality. The relevant listings will be ordered by what are considered the best Iowa State Cyclones tickets. And don't ever worry about overpaying for seats that aren't worth it. The Score Report is still available to help you decide which tickets you should buy. There are a bunch of ways you can get cheap Iowa State Cyclones tickets. First, pay no fees. Other ticket sellers and ticket marketplaces charge anywhere from 10% to 25% in hidden fees. On TickPick the price you see is the price you pay, so if you a're comparing prices, always make sure to compare the final price on the checkout page. Second, if ticket prices are still not to your satisfaction, try bidding on Iowa State Cyclones tickets. Go to the tickets page for the event you want to go to and click "Bid" in the upper left hand corner. From there, you can tell sellers what you want to pay for tickets and let them scramble to meet your price rather than the other way around. Looking for a discount on our already no fee Iowa State Cyclones tickets? New users can sign up here for a $10 discount on Iowa State Cyclones tickets. All Iowa State Cyclones Tickets purchased through TickPick are 100% guaranteed through our Buyer Trust Guarantee. We guarantee that your tickets are authentic and that you will receive your tickets on time. If you ever have any issues with tickets purchased through our site, we will work to replace them with tickets of equal or greater value. Furthermore, if the event is cancelled and not rescheduled, we will refund your purchase. Don't believe us? See what our customers have to say.